Every business management student aims at attaining seat in the prestigious Indian Institutes of Management as these institutes remain the alma mater of many industrialists, economists, politician and many other renowned public figures in India and abroad. But what about those who could not get admission s in any of the IIMs? Well, do not get disappointed. IIMs offer certain management programmes via distance learning mode, which are very well designed and developed for working professionals depending upon their requirement. 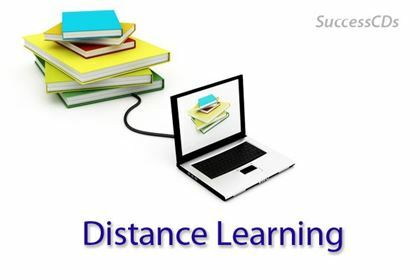 As we talk further, it is necessary to mention that not all IIMs offer distance learning courses, but only a few IIMs including IIM Calcutta, IIM Bangalore, IIM Kozhikode and IIM Lucknow offer distance education programmes for working professionals. IIM Kozhikode is one of the pioneers in distance education among all the IIMs. Who all are eligible for IIM Distance Learning Programmes? The eligibility criteria to get admission in IIM Distance Learning Programmes differ from course to course. While eligibility criteria will again be different for candidates with Bachelor's degree or CAs/ICWA with less than a year’s work experience depending on the courses they pursue. Interested candidates will have to first appear for the national level exam, clear one interview and then pay the fee for the IIM Distance Learning Programmes. The fee structure for the IIM Distance Learning Programmes will be between Rs 3-5 lakh depending upon the course you pursue. So, keep this thing in mind that the Distance Learning Programmes offered by IIM will not be easy on pocket. There will be online classes using visuals and videos. Before joining Distance Learning Programmes offered by IIM, you need to do certain courses online and in house courses alongside your job. Executive Post Graduate Programme (ePGP) – 2 Year Programme, Fee is 5 lakh, 5 year work experience, Graduates/CA/ICWA are eligible, national level exam is conducted for students, followed by an Interview. Executive MBA Programs -Introduction. What is Executive MBA ? Value addition through Executive MBA - Why to Join ? EXECUTIVE MBA - How to Evaluate Business Schools ? Just like the other two IIMs, IIM Banglore coordinates for entrance test, Interview and demands work experience. Though these distance education programmes are not equivalent to regular MBA but these are the best options to choose from Distance Education Programmes offered by IIM for a working professional who is desirous to pursue higher studies or have added qualification alongside their jobs.